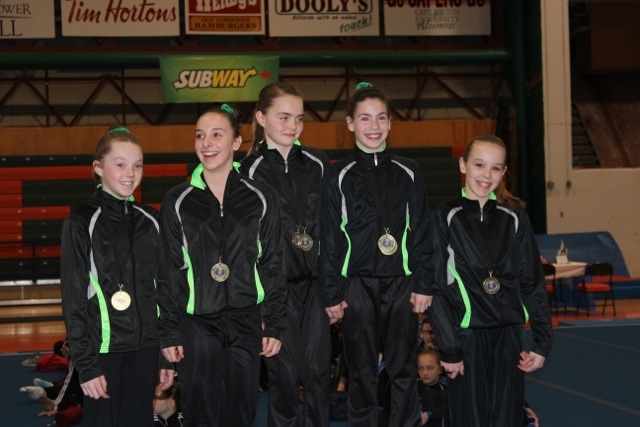 Congratulations to Island Gymnastics Academy’s Atlantic Champions!! Emma Christensen: 5th All-Around, 4th Beam, and Atlantic Champion on Floor! Dara MacInnis – 2nd All-Around, 4th Vault, 2nd Bars, 3rd Floor, and Atlantic Champion on Beam! Reese Kelly – Atlantic All-Around Champion!, 2nd Vault, 2nd Bars, 2rd Beam, and Atlantic Champion on Floor! Novice 3 – Atlantic Gold Medal TEAM award!! Tessa McGuigan– Atlantic All-Around Champion!, 3rd Vault, 3rd Beam, 4th Floor and Atlantic Champion on Bars! Chelsea MacLeod – 2nd Beam, 6th Floor and Atlantic Champion on Vault! Pre – Novice Aspire – Atlantic Gold Medal TEAM award!! Jesse Roberston – 6th Floor, 2nd Rings, 6th High Bar and Atlantic Champion on Parallel Bars! Ryan McKenna – 6th All-Around, 6th Floor, 2nd Pommels, 6th Vault, 4th Parallel Bars, 4th High Bar and Atlantic Rings Champion!